For instance, without ever visiting or studying the city, I know many things about it. There are taxis everywhere; most people don’t own a car. Everyone that lives in New York has a mugging story. There’s a huge ethnic diversity including, but certainly not limited to, neighborhoods of Chinese, Puerto Ricans, Jews, Irish, Italians, and Russians. Messenger bikers are both dangerous and in danger. New Yorkers are known for the attitudes and their accents. The major airports are JFK and LaGuardia. Tiny apartments are amazingly expensive, but, hey, if you can make it there you can make it anywhere. Blindfold me, spin me around, and teleport me to any number of New York landmarks. I’ll bet you I could identify Central Park, Times Square, the Empire State Building, the Chrysler Building, the Statue of Liberty, Rockefeller Plaza (especially in winter), the U.N., the New York Public Library, Broadway, Madison Square Garden, and Grand Central Station. I might even be able to make a decent guess at Wall Street, Carnegie Hall, and the Brooklyn Bridge. But my inherited knowledge of New York runs deeper than just the landmarks. If given a pop quiz, I could have named 4-out-of-5 of the city’s boroughs². I know the names of many of the city’s neighborhoods: The Village, the Lower East Side, Tribeca, Harlem, Madison Avenue, the Upper East Side, and SOHO. (I even know what SOHO and Tribeca stand for, though given a map, I’d have to hunt around to find either Houston or Canal Street.) In some cases, I have a good idea of what social classes you can expect in each neighborhood. All this I know (or at least think I know) because of what I’ve picked up from my entertainment sources. 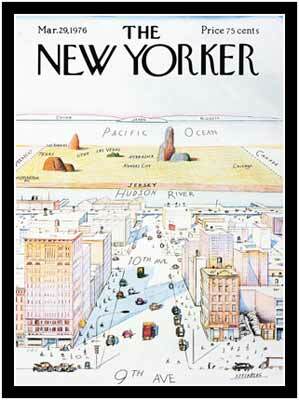 In fact, New York seems so familiar to me that I really don’t have any desire to visit the city. Because of where I live, it’s hard for me to make direct comparisons between the average person’s perceptions of Alaska and New York. Generally speaking, I would venture that both places have an equal hold on the global consciousness. But where Alaska is foreign and mysterious, New York is well-known and matter-of-fact. While people know much about the day-to-day life in The Big Apple, misconceptions about Alaskans are the norm. I guess I’m looking for adjectival labels. Alaska has a mystique. New York City has a reputation. ¹ Full disclosure: I actually lived in Staten Island when I was about 6 months old. I remember none of it. ² In brainstorming, I came up with The Bronx, Brooklyn, Queens, and Manhattan. Ironically, I left out Staten Island. 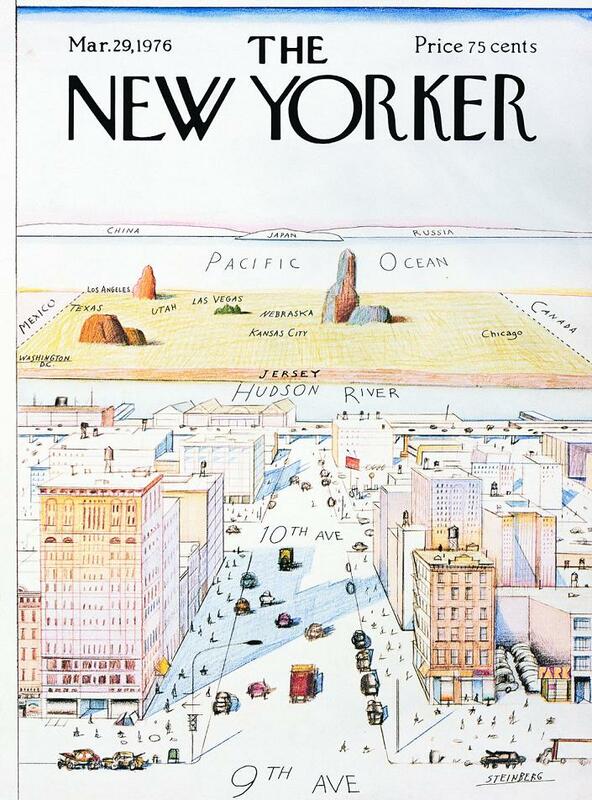 i didn’t know NY was by Pacific Ocean and the cover of the magazine pictures; i need to brush on my geography- my learning that NY is by Atlantic ocean is apparantly wrong!